Vigorous shrub with lax, arching branches covered in reddish prickles. 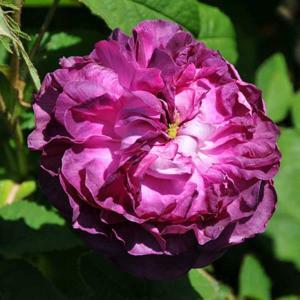 Clusters of large double flowers, opening pink and then changing to an unusual greyish violet-mauve colour. They are produced in succesion over quite a long period in summer. Fragrant. Raised in France during the first half of the 1800's.